At the SEO Meetup, which was hosted by Phil Buckley, Gregory Ng presented on a highly anticipated topic which he titled, "How To Turn A Video Blog Into A 6 Figure Business." 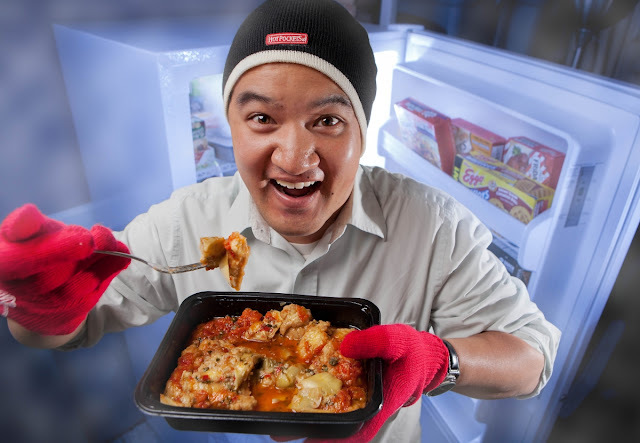 Mr. Ng, the Chief Experience Officer at Brooks Bell, Inc., hosts a very popular food review show called Freezerburns. In the following post, I've done my best to capture the essence of his dynamic presentation given at the Tir Na Nog Irish Pub in downtown Raleigh. The first step in choosing a niche for your blog begins with selecting focused content. This means identifying content that you can own (dominate). By setting your sights on a specific topic, you must also ask yourself, "Is there a big enough audience to support that topic?" Having a dedicated audience is good but one must also keep the objectives at the forefront of the project. There are over 25,000 blogs related to "food"
815 of those blogs are related to "food review"
3 blogs are related to "frozen food review"
1 blog (and that's Freezer Burns) focuses on "frozen food review on video"
Is there business behind frozen food? "Yes!" In fact, Greg shows a number of companies that do support his venture, these include: Nestle, ConAgra, Kellogg's, and more. Pick a category that nobody else is doing but also backed by big business, advertising, and TV commercials. Reflecting on Episode 1, which aired in 2008, Greg explained how bad it was. It had poor lighting, reflections, cut off his head cut, and only 64 total page views (all friends and family). While there are people with great ideas, the problem is that few ever really post their ideas LIVE. The key to success is to simply jump in. Today, Greg gets around 200,000 page views per episode. If he wasn't willing to start with episode 1, which he cannot stand to watch, he would have never gotten to the point where he is now. One important thing to remember is that you can work on the show as you go. This means that you should simply keep putting out content while also finding ways to make things better. During the first year, Greg set a goal of 5 episodes per week. It was a "Land Grab", he explained. In an effort to dissuade any competition (those who may have better cameras, production, or audience), he simply put out more content at a faster rate. For Greg, it was about owning the content. The plan worked. By the end of year one, Freezerburns had 260 episodes in the can. According to Ng, the single focus resulted in a library of videos. He didn't care about marketing or even getting people to like him, it was about the number. In 2009, someone on YouTube used the same sound byte that he was using for show's theme. It was then that he realized the importance of owning the content. How Do You Own Your Niche? In line with this, Greg recommends that companies should always look for ways to share the brand. "Put it [the brand] everywhere. It's important because when people see it, they'll think of the show." he explains. One year later, Ng made a whopping $384 (or $0.23/hour) from the show. He says, "That's not sustainable. If you're trying to make money that's not going to do it." "Stoner College Kids" (44 percent) and "Grocery Shopping Moms" (41 percent) are two of the show's popular demographics. He knows his audience, what they like, and what they do. As a result, everything he does on the show is done for those two groups. In response to that question, Greg shares some of his most valuable tools. Crowd Science - A free service that allows you to ask the audience questions. For Ng, it's a starting point. Blip.tv - Provides monetized advertizing and analytics (this service doesn't overlap where Crowd Science goes). It's important to note that there is no all in one solution. Greg uses a number of different tools. Facebook Questions - Very unscientific, but it allows him to poll his audience. Google Analytics - He's been using this tool since month one of the show. What he noticed is that people were clicking through to latest video through RSS. Then they would look through the tags and navigate that way. He assumed people were going to watch every episode. Some would, if serial, but for most Freezerburns visitors, it's in and out. Some people only watch pizza reviews. Knowing this information, Greg tested out his site. As a result, he built a taxonomy where visitors could browse reviews by Rating, Brand, Type, Cooking Method, and Keyword. Once in place, people got lost in the reviews and the average time on site skyrocketed from 3:08 to 4:25. Lesson: Use the data to change the way you enhance your site. YouTube Analytics - Great resource! according to Ng. Did you know that you can join your YouTube Analytics into Google Analytics? The YouTube Analytics was really important to Greg. In June of 2010, people wanted to see the nutritional information about the food (thanks to the comments). In the 336 episode (Chicken Fettuccini Frodown), he found that when he put nutritional facts on the video, the numbers dropped. He also found that when he took his first bite, the viewership also went way down. Sure enough, after weeks of testing, the message was consistent. As a result, he eventually took the nutritional information away. Takeaway: Assuming you have enough data, consider using Video Insights. Seevolution - This tool used to be free, but now it costs $50/mo. According to Greg, it is a really awesome hotspot analytics for click data (to see where the mouse goes). After running on his site, he learned that views and the taxonomy were pretty hot (popular). He also found that instead of using the navigation sequentially, users did something else. When he increased the number of videos from 5 to 10, his page views moved from 2.5 to 6.32. Visual Website Optimizer - Greg loves this tool. The Visual Website Optimizer integrates with Google Analytics (and they use at Brooks Bell, Inc.). There is a 30-day free trial. When Ng ran a test, he used different headlines and found that one worked. "You never know what works until you try it." 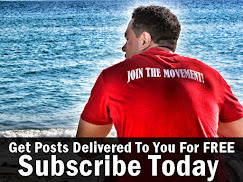 Because the goal was to grow subscribers, Greg found that by using another headline his subscribers increased by 7 percent. When looking back over the years, Greg explained that he really tested into the current design of his site. He thought that people wanted to go to the latest video. However, he discovered that people wanted an overview of the site (for new subscribers). What is important to them is that Freezerburns published so many reviews. It's not until the visitor scrolled down to the bottom of the page that videos show up. Interestingly, Greg reveals that he doesn't get very many views on the website. Instead, the majority of views happen where the people are (social networks). It's important to know what the audience wants. For Ng, it's important because it helps him decide which products to review. Stay focused on what the majority wants (it's not important to do local stuff that only a few people can enjoy). "Remember what the majority of your audience wants...not just the vocal few." Greg says. In every sponsorship deal, Greg tries to work in coupons. He wants to be a brand ambassador. This is where Ng takes customer feedback and then says (to the brand), "Here is an example of what people are saying about the product." In a normal week, Greg gets an average of three cases of food. Three cases is a lot of food and he doesn't have the time to review it all. One way to bring viewers behind-the-scenes is by taking pictures of products he's received. He mainly posts on Facebook and Twitter, not necessarily on YouTube. In the beginning, he was buying his products to review. After the Wall Street Journal article (in 2010), he started getting free stuff. Although, Greg makes it a point to still buy 75 percent of what he reviews. This way it's an unbiased review. He wants to stay in control. "If you don't have comments...you're doing it wrong." Greg says. First step, enable your comments. This is how to build a rapid fan base. It takes up a lot of time but it's so very important. When asked a question that he gets ALL THE TIME, he responds. Greg admits that sometimes he answers questions late, but he answers every one. On average, he gets 78 emails a day. Each one of those is an opportunity. "It's a pain, but it's important to respond." 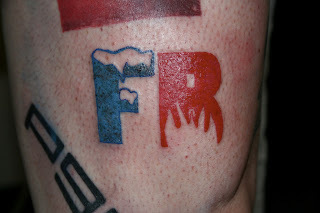 One guy has a tattoo of the Freezerburns logo on his leg. The important thing to Greg is to let fans know that he is a real person who monitors stuff. They, in turn, become his army of advocates. It's important to invite, even encourage, creative things like pictures. The point here is that people are going to say things that hurt. Comments hurt, but now he just eggs people on. If you get trolls, it means you're popular. Greg talked about doing a live show that Healthy Choice sponsored. He gave the brand an opportunity to participate in the event. If he hadn't reached out to the company, how else would they have known about the show? To drive the point home, Mr. Ng talked about four different shows that he'll never do again (Fryerburns, Belly Busters, Review Free Stuff, and one more). While popular shows, he won't do them again because it causes a loss of focus from Freezerburns. Publish reviews where the brands can see it. Greg shared a story where he published his reviews on Facebook pages, for example. Companies like this idea because it gives them exposure. Action Item: Go follow SaffronRoadFood on Twitter and Facebook. Tell them @GregoryNg sent you. This is a very important step and there are three different types of video ads (overlay): Bottom third, pre-roll, or post roll. With Blip.tv, there is an advertising option. "Just check, check, check, and you're done." Note: "People and blogs" is not niche enough. If you fall in that category, Greg recommends that you get more specific. YouTube also provides monetization options. Note: If you're using pirated content (music, for one), it's not good. Instead, try Incompetech for free audio that's also high quality. For the time Greg spent presenting (about an hour he says - although, it was really almost an hour and a half), he made $80 bucks because his 500 YouTube videos are being viewed all day over the world. In review of his very first video, he now has over 117k views. By monetizing every video, he's making money. "You won't get rich off of ads." Greg explains. He only makes about 10 percent. The other 90 percent is off of endorsements. One very powerful way to earn money is through sponsorships. This step can take a lot of time, but it's worth it. Last year, Greg ran a contest with Healthy Choice (Freshen Your Freezer). The contest details involved taking a picture of the freezer and putting it on the Healthy Choice Facebook page. The winner got flown out to the Healthy Choice Headquarters where they filmed a live episode. To Greg's advantage, he had data (Facebook Likes, Subscriptions), testimonials, and more. As a result, he was able to name his price. In addition to that, Mr. Ng also provided a form letter. A form letter for contacting sponsors offers a positon statement (what he does), time relevance, creditability (testimonials), demographic relevance, and recent successes. He explains that he always uses this template. Furthermore, he couldn't do any of this if he didn't know his audience. You have to know this before ever approaching sponsors. In 2011, Greg launched an iPhone app. 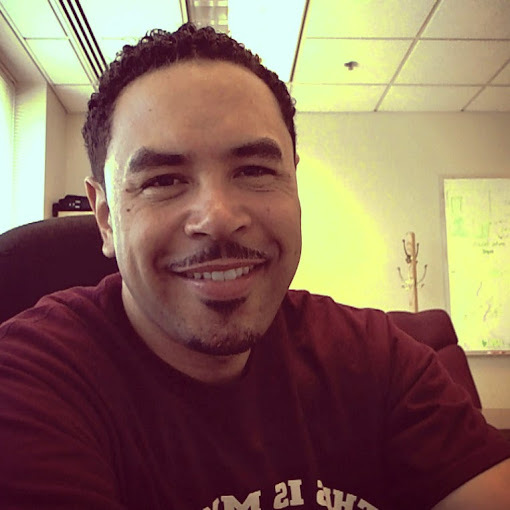 He launched the app so that he could get it up [pause] as a first step toward a much longer goal. Additionally, he has a QR code scanner so that you can scan a food and get his related review. Data is your friend. With data captured from the mobile app, Greg can use this information to approach a competitor, grocery store chain, and to share relevant coupons with his audience. You only get money if you think outside of those ads and focus on sponors. If you cannot define your business in five words or less then you don't have enough focus (finding your niche). It only took Greg three hours to skim down to a niche. He started with three ideas for a show: Mac & cheese, cereal, and the freezer isle. Jimmy Evans Speaks At C3 Church: How Much Do You Want?